Downtown Chicago. All photos by Becky Cheang. Chicago's Loop is more than just Millennium Park. Fathom contributor Becky Cheang makes a case for spending an action-packed day downtown. 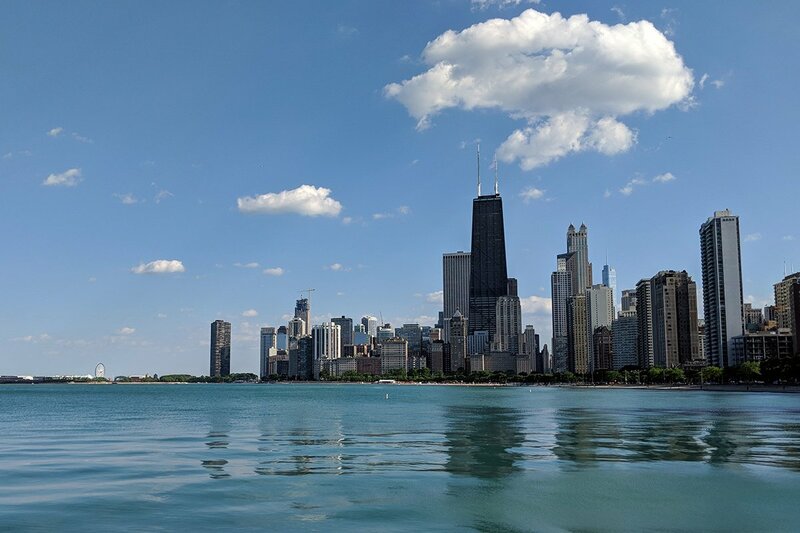 CHICAGO – The best time to visit Chicago is on either end of the summer festivities when school is in session, the sun is shining, the temperatures aren’t too oppressive, and there’s space to breathe in downtown Chicago. The next time you’re passing through the Windy City, consider setting aside a full day to explore the Loop. It’s worth it. First things first: coffee. Pick up a cold brew made with locally roasted Metropolis Coffee beans from Dollop Coffee in River North. (Order the Nutella mocha. You can thank me later.) 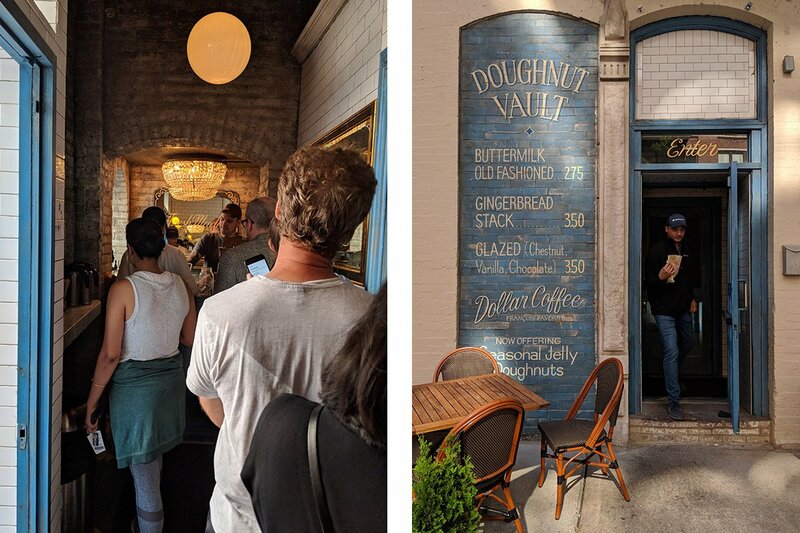 Get in line at nearby Doughnut Vault, a sliver of happiness in the neighborhood. Go earlier for more options, but you can’t go wrong with an old-fashioned buttermilk and — what the hell — a daily special for an extra treat. If you want to plan your donut order ahead of time (the anticipation is everything! ), check their website for daily specials (and their Twitter feed for stock updates). Once you’re properly fed and caffeinated, head towards Navy Pier to work off that donut(s) on a bike tour with Bobby’s Bike Hike. They offer a variety of options at different difficulty levels, starting with a leisurely cruise through the lakefront neighborhoods. Or work out and eat out with the Bikes, Bites & Brews Tour, wherein you’ll sample Chicago’s best comfort food: deep-dish pizza, cupcakes, hot dogs, and beer. Palm Court at Drake Hotel. 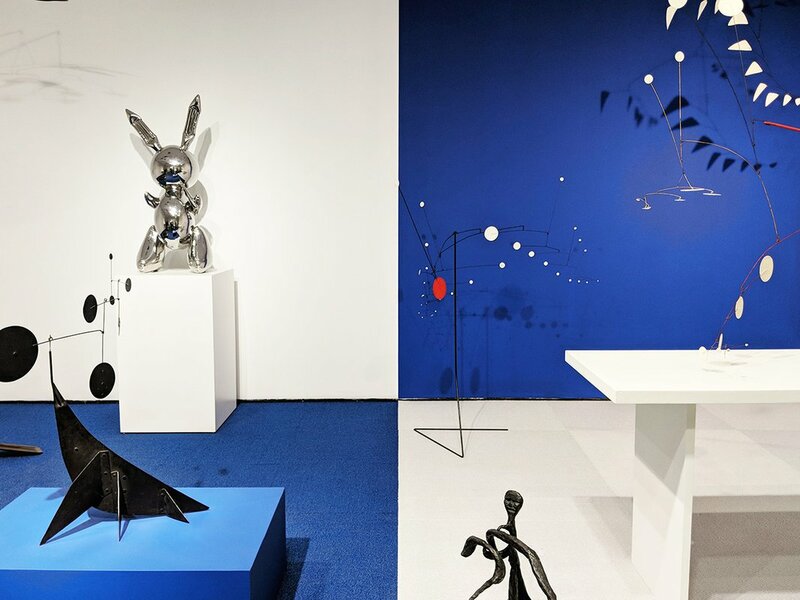 An Alexander Calder and Jeff Koons exhibit at the Museum of Contemporary Art. 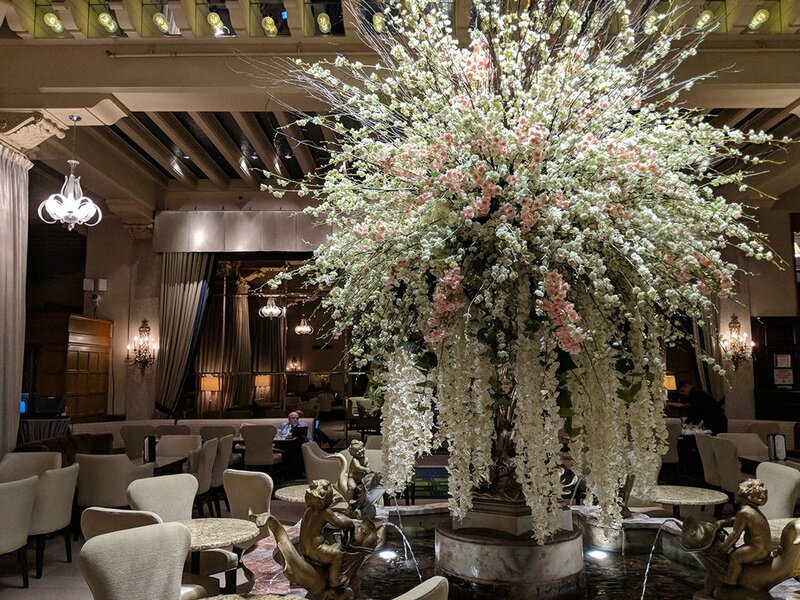 Post-tour, refuel with an afternoon tea at the historic and stunning Palm Court at The Drake Hotel. While you munch on dainty tea cakes and petit fours and sip Palais des Thés tea, don’t forget to sit up straight — you’re eating where Princess Di slept in 1996! Other guests at this royal tea party have included Queen Elizabeth and the Empress of Japan. If you happen to be there from a Wednesday through Sunday, a live harpist will accompany you. Oui oui! While everyone else is at the Art Institute of Chicago, drop by the lesser known but equally stellar Museum of Contemporary Art. Besides bringing in a lovely mix of big name and emerging artists, the museum also has a robust lineup of community programs, including workshops, talks, and screenings. Look out for the In Progress series (it's usually on the second floor) for a glimpse into an artist's creative process. The table spread at Proxi. Round up some friends and head to West Randolph Street for dinner. You’ll be spoiled for choice, and make sure to make reservations. 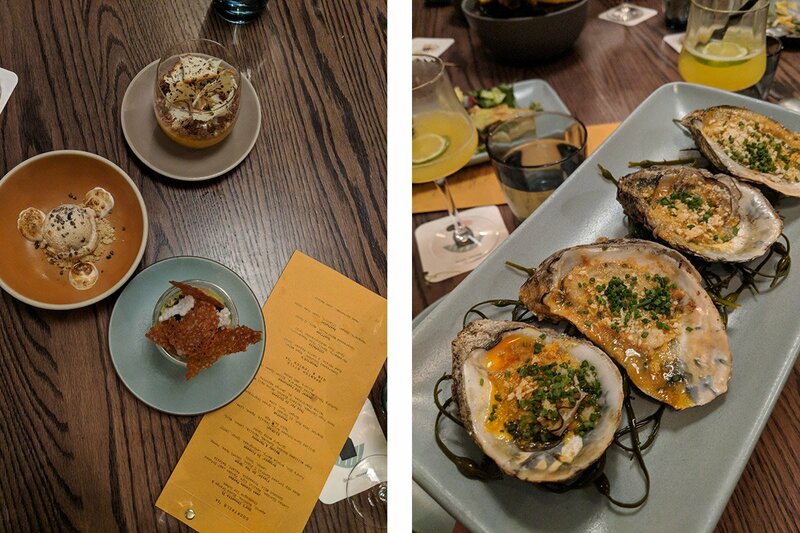 Go for any of the classics at all price points at local favorites like Little Goat Diner, High Five Ramen, and Au Cheval. Or try something new at Proxi, like impossibly light and flavorful eloté tempura, savory cod curry, and grilled mushroom salad. Don't forget to ask about the daily dessert specials. After dinner, end the day with a nightcap on the rooftop patio at Aba. Chicago. It's our kind of town. Becky is a writer, designer, and content strategist based in New York City. You can follow her on Instagram and Twitter. She travels for the stories traded over lunch and the local brew.